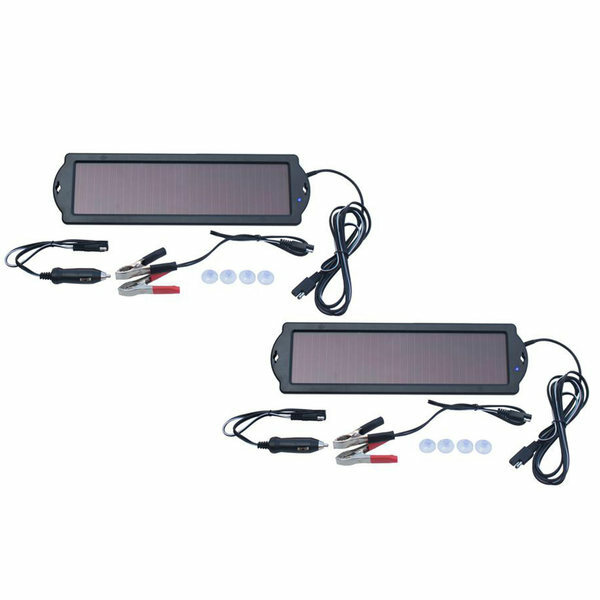 The NATURE POWER 12-Volt Solar Battery Maintainers are high quality amorphous solar panels that deliver up to 1.5 watts. Prevents dead batteries caused by electric drain. Great for use with automotive and other 12 volt batteries. Connects directly to battery with supplied clamps or plugs in to cigarette lighter with included 12 volt dc plug. WARNING: This product can expose you to chemicals, including Di(2-ethylhexyl) phthalate (DEHP) which is known to the State of California to cause cancer, birth defects or other reproductive harm. For more information, go to www.P65Warnings.ca.gov. 13 7/8" Length x 1/2" Thick x 3 15/16 Width"